In aid of Sheffield Royal Society for the Blind (SRSB), Breast Cancer Care and Alzheimers Research, the cash was raised by Jack Durham, a technical engineer at Gripple in Sheffield, from donations by his family, friends and workmates. 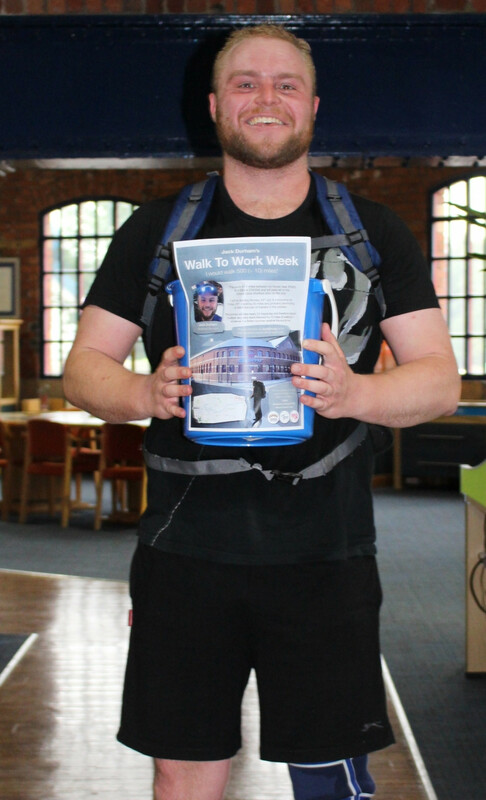 26-year-old Jack lives near Rotherham but Gripple is near Attercliffe in Sheffield, which meant he covered 50 miles in five days - 36 miles running and 14 walking - taking approximately 98,000 steps and earning multiple blisters! In addition to the Walk to Work Challenge, Jack took part in the 2017 Night Strider Charity Walk to raise funds for St. Lukes Hospice, completing the Half Marathon Route in only three and a half hours!